Take on the London 2 Brighton Challenge for Pilgrims across 25-26 May 2019. The Ultra Challenge series offers nine inspiring endurance events that you can walk, jog or run to raise vital funds for Pilgrims. Whether it’s a 25km walk, a testing 50km jog or a 100km marathon, there’s something for all abilities. These challenges are perfect for people of any fitness level, with softer options for beginners and ‘ultra’ options for those really going for it – along with all those in between! Ultra Challenge events are all-inclusive with an extremely high level of hospitality. They include regular rest stops approximately every 12.5km, with drinks and snacks, a fully signed route (so you won’t get lost) and hot meals to keep you going. Passing by stunning scenery, meeting new friends and discovering hidden resilience and spirit, few can describe their elation at crossing the finish line. Richmond, West London, Saturday morning and 3,000 excited challengers eagerly await the start in the tented village. There’s 100km of paths and trails, the North Downs, South Downs and some wonderful Sussex countryside to explore before the coastline comes into view and the welcome finish line awaits down the home straight of Brighton Racecourse. The journey is amazing, and with some training and determination anyone can conquer London 2 Brighton. Will you do it for Pilgrims? 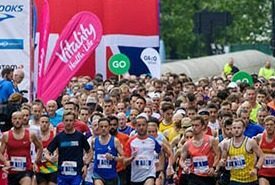 Relay option and corporate packages available – round up your colleagues! 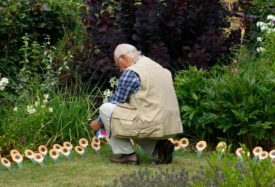 Remember a loved one this summer by dedicating a sunflower memory marker to plant in in our hospice gardens. 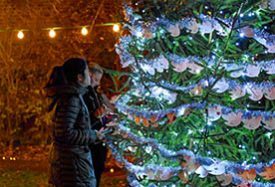 Remember a loved one at Christmas by dedicating a beautiful dove to hang on our illuminated Trees of Love.